Consultez le site web de l'agence pour entrer en contact avec elle et découvrir comment elle peut vous aider à développer votre stratégie marketing ou commerciale. Stream Creative in Milwaukee, Wisconsin is a full service inbound marketing & design agency specializing in digital marketing, web design and development, media buying, and social media. We are a HubSpot Certified Platinum Partner agency and certified in HubSpot COS web development. Pourquoi est-il nécessaire de se connecter à LinkedIn ? Votre connexion à LinkedIn est requise pour laisser un nouvel avis afin d'empêcher la publication automatisée et assurer la pertinence des avis publiés. En envoyant votre avis, vous confirmez que (1) vous avez lu et vous acceptez la Politique des avis et les Conditions d'utilisation de l'annuaire et que (2) votre avis est conforme à ces conditions. I would recommend Stream Creative to anyone who asks. They made our new site launch so simple and were able to easily capture the look and feel we wanted to create. I look to them as a trusted resource in navigating HubSpot, best practices and the latest technology. They know this inside and out and we look to them as our trusted partner in navigating Inbound Marketing and HubSpot. In a recent demonstration Steve James showed me 2 items that cut the time by 1/3 for following up with tasks created in Hubspot. First the Queue function he showed saved me from the 4 different navigation screens I end up going to in order to finish a task. Second the #SnippetName saved me from the clicks to add the snippets I use. (I use a lot of them) I find them better than templates because I can pull together a more unique sales experience. I was spending 90 minutes a day with my deals. I now spend closer to 60 and have not reduced the custom sales experience I deliver. We recently launched a website with Stream Creative, and in all honesty we would have been lost without them. We wanted our website to be very inbound focused, and we relied heavily on Streams guidance and suggestions along the way. Steve and the entire team were very patient throughout the entire process, and helped us ensure that everyone at our firm was satisfied with the finished product. Since launching the website - they remain committed in helping us succeed. We will also be using them for campaign direction soon as well. We highly recommend Stream Creative and value our relationship! 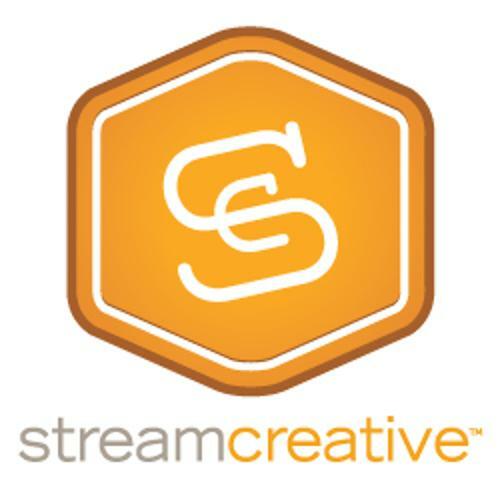 Stream Creative is a great partner! We have worked with Stream Creative since 2011 on numerous projects ranging from website and microsite designs, to ad campaigns and custom programming projects. Our biggest project(s) they assisted us with was the redesign and launch of 10 unique websites on the Hubspot platform. They also helped us to launch two (2) microsites on a very aggressive timeline, strategy and execution of ad campaigns leveraging Hubspot landing pages, follow up emails, etc. and support on custom programming projects that interact with other Goodwill systems and data. I have worked with Steve James and the Stream Creative team since 2010. I would highly recommend working with this team! The Stream Creative team has worked with St. Marcus on campaign and event creative including theme and branding direction, communication and marketing plan development and logo, marketing and website development to ensure seamless creative throughout all event and campaign communications and materials. Stream Creative also guided St. Marcus through a full website redesign and development and integration with the HubSpot platform. The team conducted stakeholder interviews, site map development, design, development and full launch, bringing our website up to industry standards. Stream Creative has been a fantastic partner in strategic and creative communication initiatives! Stream Creative sits at the helm of current digital advertising and inbound trends that help the University Marketing team at Cardinal Stritch University find inquiries students for more than 60 degree programs. Essentially, with the help of Stream Creative, we're able to fill the sales funnel more effectively. We rely heavily on their inbound marketing expertise and rely heavily on their ongoing assistance with our landing pages, mastery of workflows to automate information delivery, and their ability to integrate Hubspot with our other marketing channels. In the first year, after setting up the blog and landing pages, we captured over 630 leads, had over 5,500 blog views, and 23,000 visits to our landing pages. As the Director of Marketing, it's also convenient to log in to Hubspot at work, or at home on my mobile device, to check on our progress or peek at event RSVPs. The team is excited for the tweaks we'll make this upcoming year and expect to exceed last year's results. Cette agence travaille avec des clients économiquement puissants qui sont prêts à dépenser pour des solutions et des services complets.